Admittedly, this cook book challenge was one I did some time ago. But time is escaping me and so I am only just posting it now. A little while ago my boyfriend's sister-in-law gave me this book. 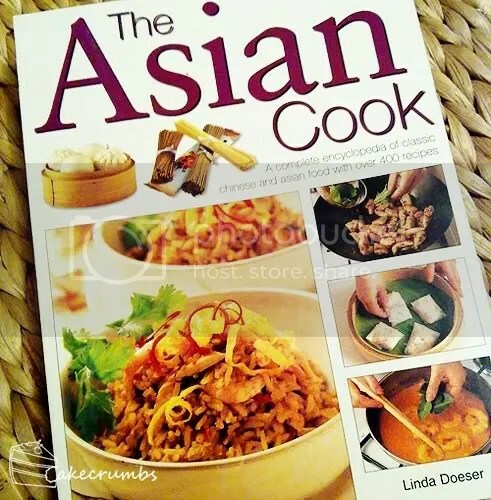 "The Asian Cook", By Linda Doeser. She'd somehow ended up with two copies, and so I was more than happy to take the extra off of her hands when offered. She's told me that it was full of scrumptious recipes, and she was not wrong. It was difficult choosing a dish to make and it is certainly a book a shall return to time again. 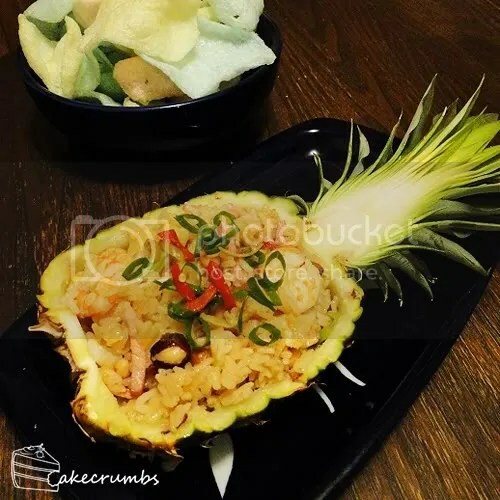 I'm pretty much a massive fan of pineapple, so the addition of it into any rice or noodle dish is most certainly welcome by me. 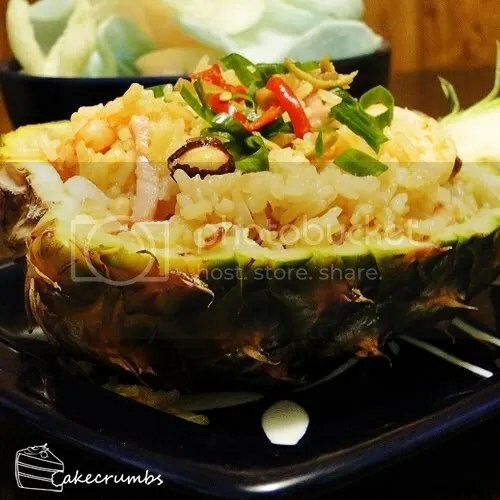 This was a different take on friend rice to the completely Westernised bastardisation of it that I am accustomed to. It's definitely one I shall revisit. 1. Cut pineapple in half lengthways and remove the flesh from both halves by cutting round inside the skin. Reserve the skin shells. You need 115g/4oz fruit, chopped finely (keep the rest for a dessert). 2. Heat oil in a wok or large frying pan. Add the onion and chillies and fry for about 3-5 minutes until softened. Add the pork and cook until browned. 3. Stir in the prawns and rice and toss together. Continue to stir fry until rice is heated. 4. Add chopped pineapple, cashews and spring onions. Season with fish sauce and soy sauce. 5. Spoon into pineapple skin shells. Garnish with shredded mint leaves and red and green chillies. My mouth waters just looking at that. It was really yummy. I love rice with something juicy in it, to break it up.